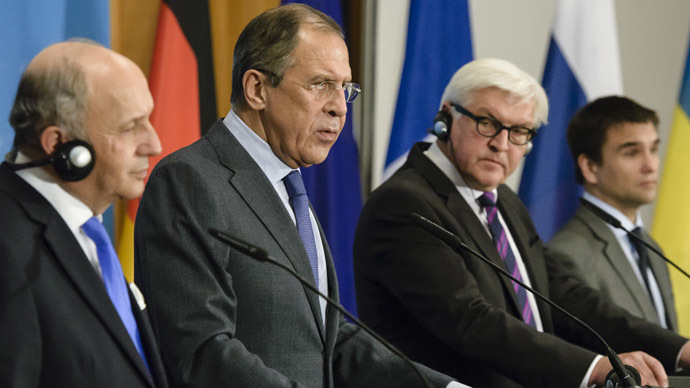 A roadmap of measures that will point a way out of the Ukrainian crisis has been agreed during four-way talks between the foreign ministers of Germany, France, Russia and Ukraine, German FM Frank-Walter Steinmeier said. The group should include representatives of both Kiev and the self-defense forces of the People’s Republics of Donetsk and Lugansk, Russia’s foreign minister, Sergey Lavrov, said. “The ceasefire should be monitored by the OSCE Special Monitoring Mission in Ukraine in conformity with its mandate,” the statement reads. Lavrov, said that the ceasefire was essential to prevent further casualties among the civilian population, and to provide a chance of reaching an agreement between the sides in the conflict. Moscow is ready to grant Ukraine border guards access to Russian territory so that they can control border crossings at several checkpoints, while the mutually agreed ceasefire is in place. The Russian FM insisted that the ceasefire must in no way be used as a chance to redeploy forces by the sides involved in the Ukrainian conflict. "All sides must contribute to a secure environment," the statement concluded, emphasizing the need to ensure the safety and security of journalists working in the conflict zone. However, he added that de-escalation will only happen when the Ukrainian president’s peace plan is respected in its totality. Klimkin also expressed hope that “the effectiveness of control over the border regime between the Ukraine and Russia will be strengthened” as a result of the Berlin agreements. “Our task is, first of all, to achieve peace and security. I think that the agreement the four countries reached is a step in the right direction,” he said. According to Fabius, the most important issues to be addressed in Ukraine are “ceasefire; release of captives and border settlement." The meeting in Berlin took place two days after the situation in Ukraine was discussed in a telephone conversation between Russian President Vladimir Putin, German chancellor Angela Merkel, head of the French state Francois Hollande and Ukraine’s new president Petro Poroshenko. The four heads of state have supported the idea of urgently staging the third round of consultations between Kiev and the self-defense forces and have briefed their foreign ministers accordingly. 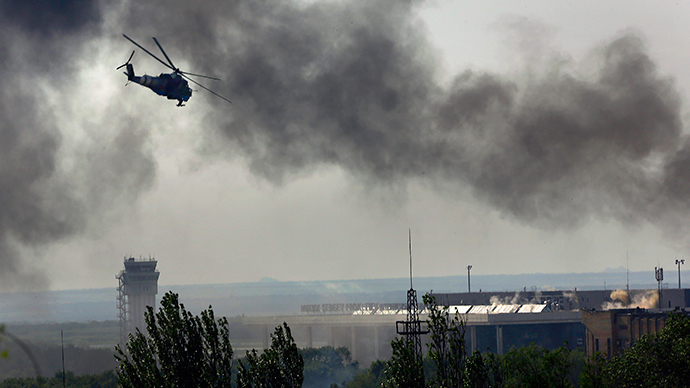 The violence has again escalated in Ukraine after president Poroshenko terminated the ceasefire in the south-east of the country on June 30. Chairman of the Ukrainian National Security and Defense Council, Andrey Lysenko, said that Kiev troops and self-defense forces engaged in combat on 19 occasions during the last 24 hours. 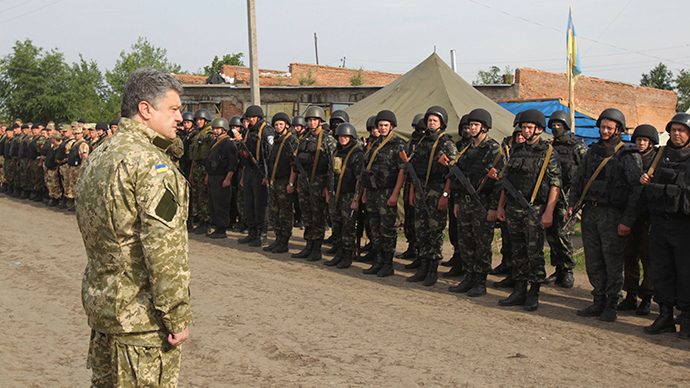 Three Ukrainian soldiers were killed and 10 other injured in those gunfights, he added. 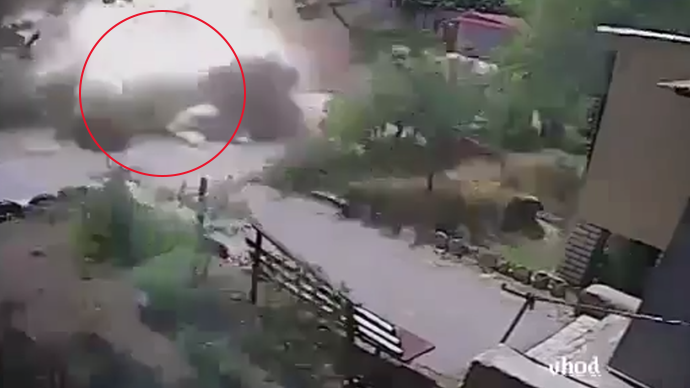 The self-defense forces speak of a deadly airstrike by Kiev forces, which saw five people dead and completely destroyed a street in the village of Staraya Kondrashovka northeast of the city of Lugansk. 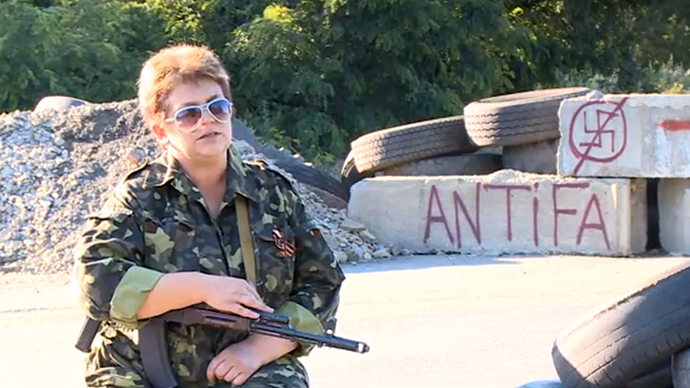 “We will completely clean out the separatists and free the east of Ukraine. The Donetsk and Luhansk regions will again live in peace,” Aleksandr Turchinov, Ukraine’s parliamentary speaker, is cited by Euronews as saying. At least, 200 people have been killed and another 600 injured since the start of Kiev’s so called “anti-terrorist operation” in eastern Ukraine, the country’s national security service announced. 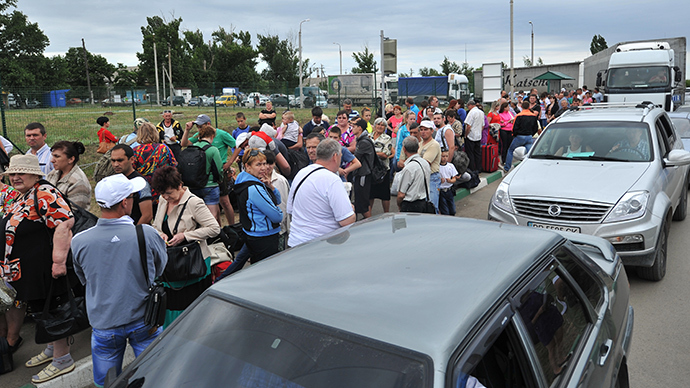 The number of Ukrainian refugees in Russia has reached 110,000 people, while 54,400 others have been internally displaced, the UN’s refugee department stated. Russian Prime Minister, Dmitry Medvedev, says Ukrainian President Petro Poroshenko is now personally responsible for all the victims of Kiev’s military campaign. “By breaking the truce [with self-defense forces in the People’s Republics of Donetsk and Lugansk] President Poroshenko has made a dramatic mistake. It’ll bring new victims. 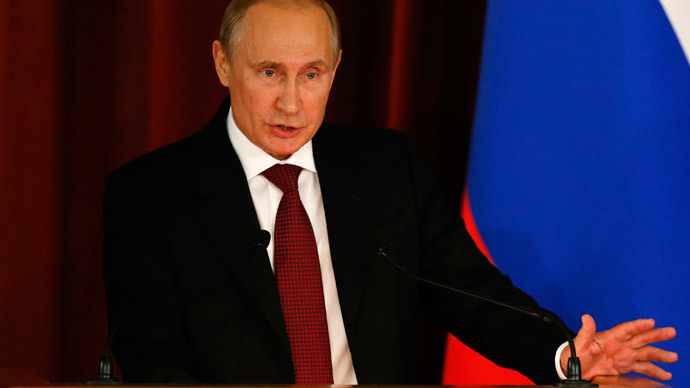 And for all of them, he’ll be personally responsible,” Medvedev wrote on his Facebook page. “It will be much more difficult to revive talks. These are the rules of a war,” he added.